Gulls have always been a challenge to me. 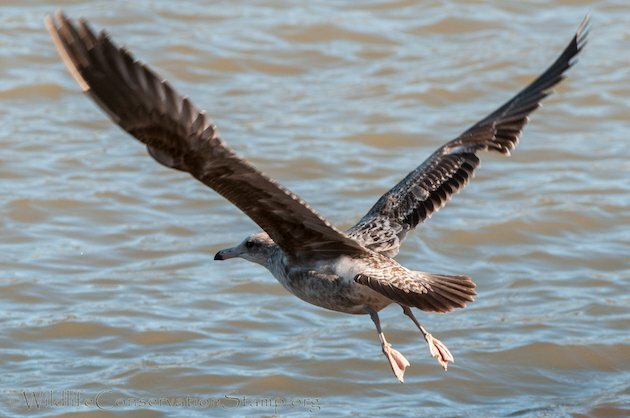 Maybe it’s because I don’t see them often, or seek them out, or even try to better my gull ID skills. It just seems so challenging. 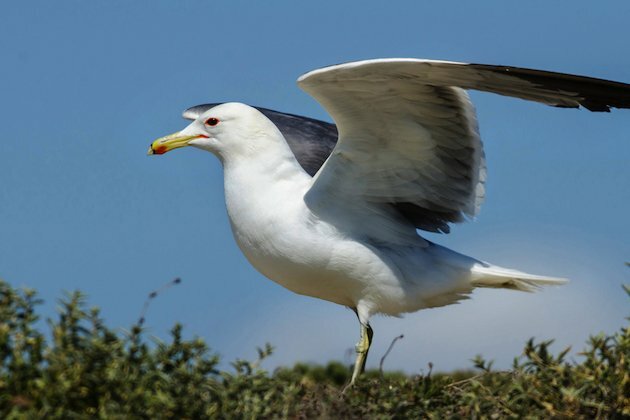 I mean you have two year gulls, three year gulls and even gulls that take four years to mature, and the plumage of all these species changes as they mature. 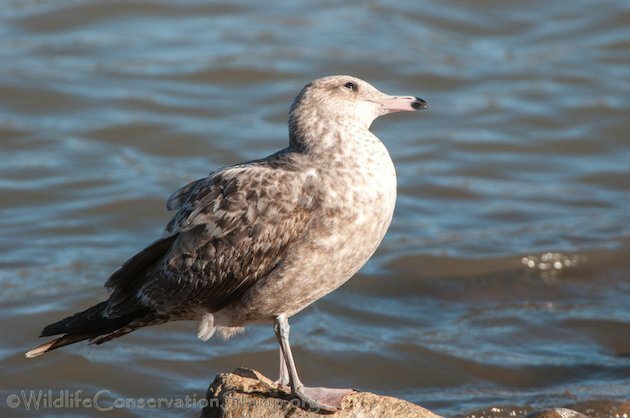 On top of that, they occur in breeding and non-breeding plumage! Really? 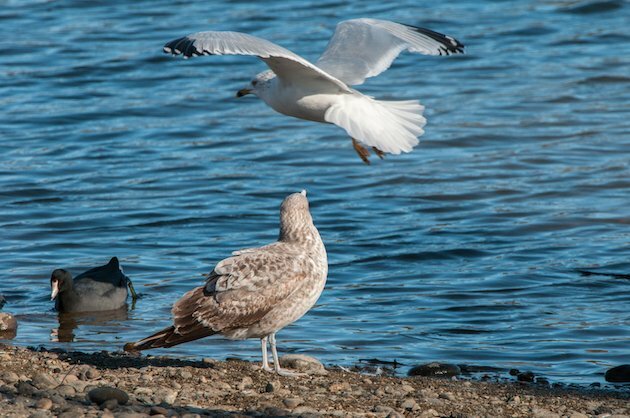 The top photo shows a first winter California Gull (Larus californicus) on the right and a non-breeding adult on the left. 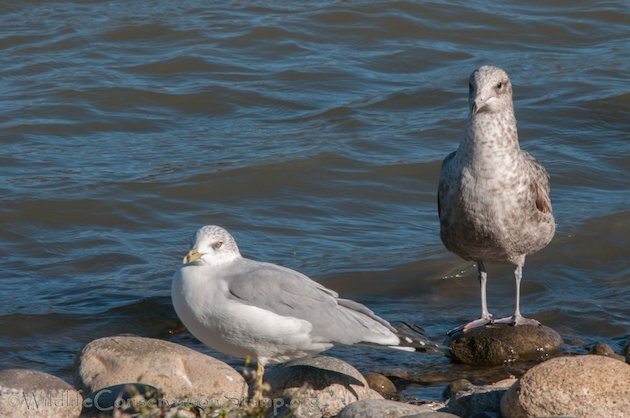 Below is the same first winter California Gull with the smaller non-breeding adult Ring-billed Gull (Larus delawarensis) on the left. Click on photos for full sized images. 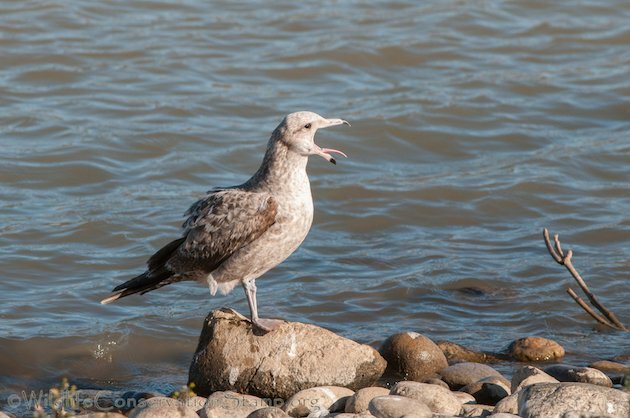 Not living on the coast is the most obvious reason that I don’t see many gulls or shorebirds but it helps having the Sacramento River, the largest river in California, running through the central valley. 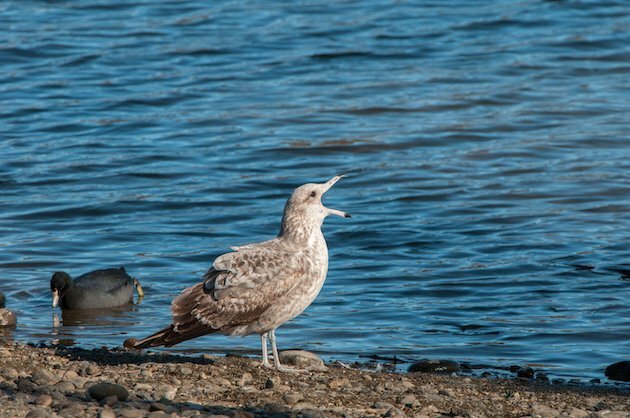 Kutras Lake and Turtle Bay in Redding California are a couple of the best places to find both gulls and shorebirds in the area. 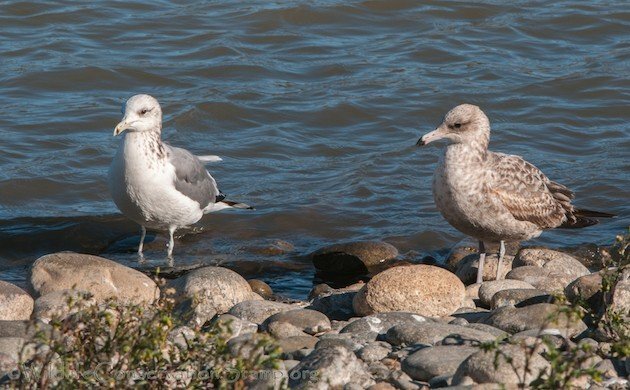 The four most common gull species seen at Kutras Lake are Ring-billed, Herring, first-year Glaucous-winged, and California; less common are Western, Thayer’s, and Mew gulls. It is also the best place to find Common Golden-eye, Lesser and Greater Scaup, Common Merganser, Ruddy Duck, American Wigeon, Ring-necked Duck and Bufflehead. 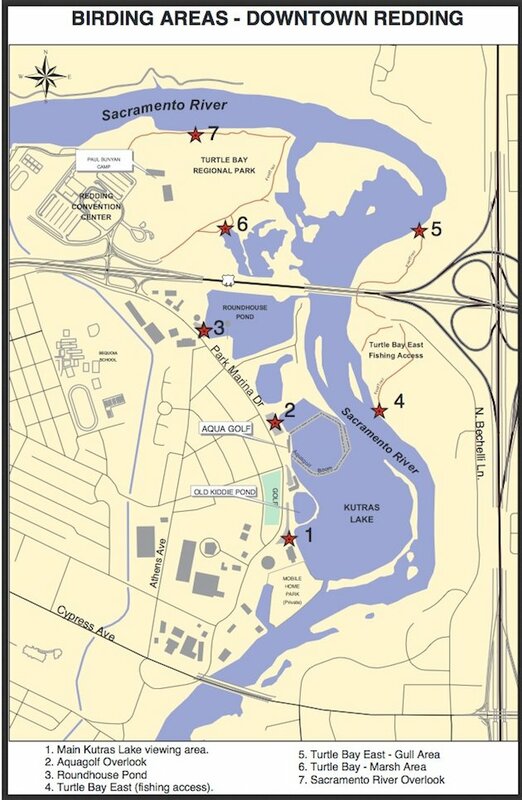 Hooded Mergansers are sometimes seen in the “kiddie pond,” marked on the map. This is also the easiest place to find Barrow’s Golden-eye and all four grebes: Pied-billed, Western, Eared, and Horned. 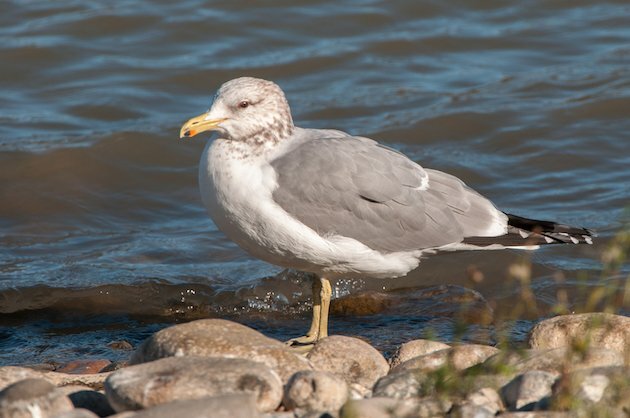 So I’m at Kutras Lake and I see this nondescript brownish gull. Well, I figure if I want to ID this bird, I’d better get plenty of photographs. 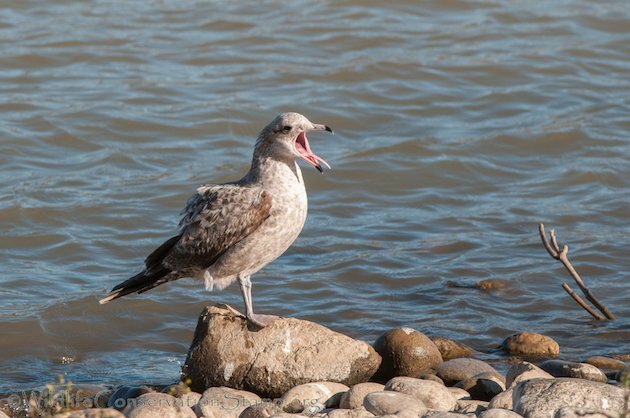 I found the Sibley Guide to Birds very helpful in determining that this bird is a first winter California Gull. The pink bill with the black tip was a good start. 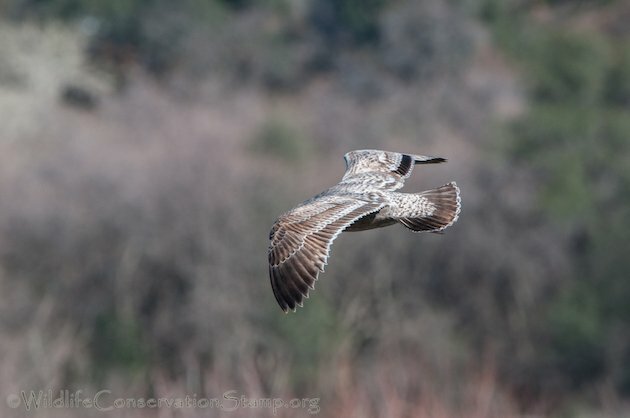 I also found the in-flight shots of the bird’s plumage to very helpful in making the identification. 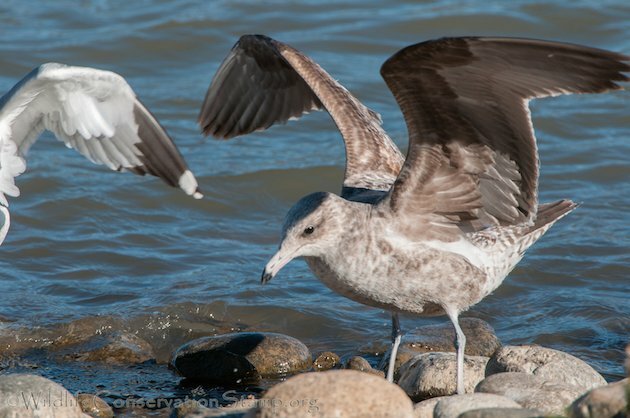 This photo shows the first winter gull’s underwing pattern and the adjacent adult’s wing tip. 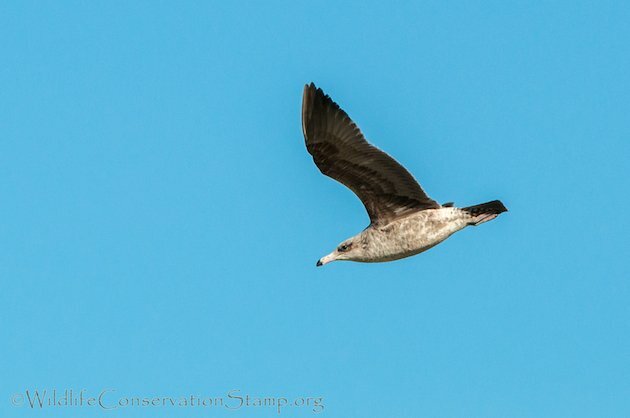 I took a series of photos of this first winter gull as it vocalized to an incoming Ring-billed Gull. Later this youngster was mouthing off to another bird before it took off. 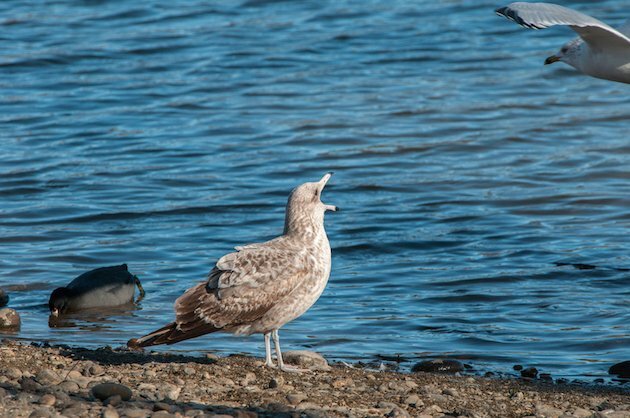 Ever wonder how gulls can eat just about anything? 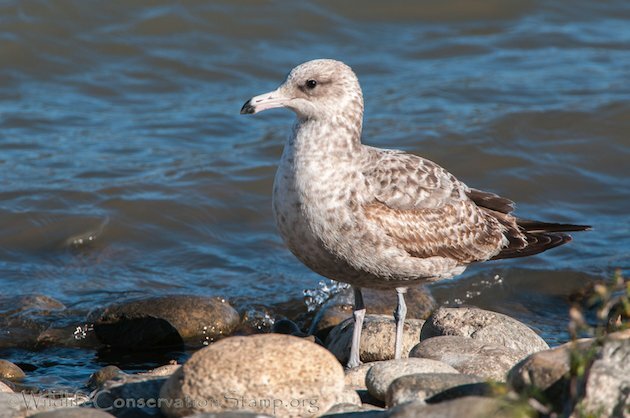 And the full blown breeding plumage of the California Gull shown so beautifully here by Byron Chin from his Flickr Commons collection. You definitely want to click on this photo!